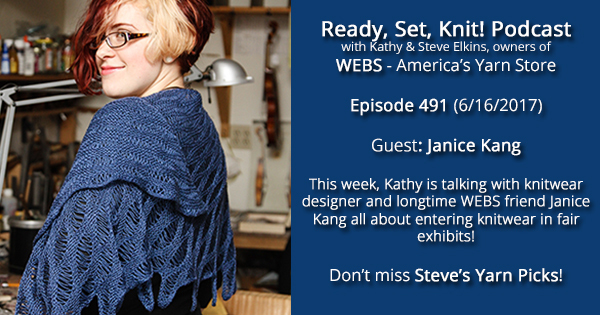 This week, Kathy is talking with Janice Kang, knitwear designer and longtime friend of WEBS. For our 40th Anniversary, Janice designed the Mixed Tide Shawl, which knits up beautifully in 2/10 Merino Tencel (Colrain Lace). She entered a version in the California State Fair in 2014, and it placed! Summer is here, and it’s fair season! Janice is an award-winning knitter, so listen to hear more about entering your knitwear in fair exhibits! You won’t want to miss this. 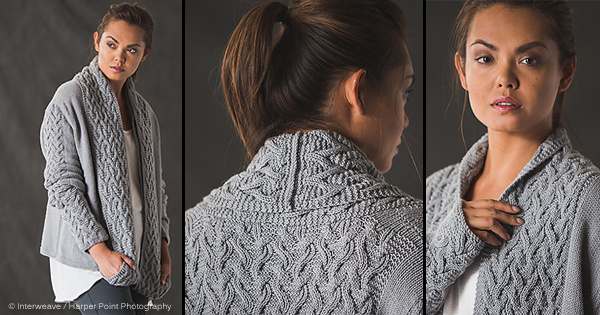 Janice’s award-winning Lady’s Circular Cape in Shell Pattern, knit in Valley 2/10 Merino Tencel. Janice’s Must Have Cardigan, knit in Valley Northampton. Janice is also a weaver. Her Pseudo Crackle bag in Valley 5/2 Cotton placed 2nd! Check out Janice’s blog to read more about the California State Fair results here. Don’t forget to pick up your passport for the I-91 Shop Hop, which is taking place from Thursday, June 22nd through Sunday, June 25th- NEXT WEEK!!! 11 shops are participating this year, with raffles and prizes galore! If you make it to all 11 stores and fill your passport, you could win a huuuuuge gift basket! WEBS will be closed on Tuesday, July 4th! Have you met Conway? It’s the perfect yarn for spring and summer! Made with 60% Pima Cotton and 40% Acrylic, Conway works up at a DK weight, with 5.5 stitches per inch on a US size 5 needle. Conway is also machine washable, making it an excellent choice for baby and kids garments. 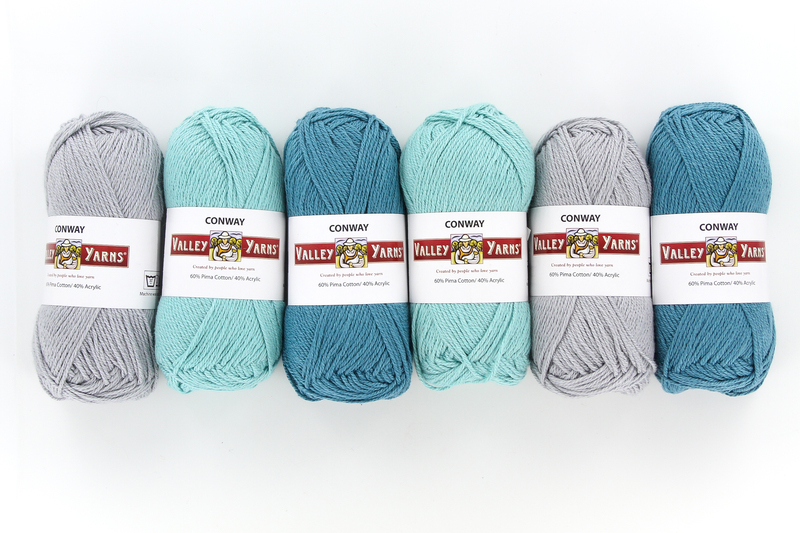 With a soft hand, excellent stitch definition, and gorgeous color palette ranging from neutrals to brights, Conway has all of your warmer weather needs covered! For a light summer layer over a tank, knit the Safira Cardigan. The eyelet detail on the sleeves combined with Conway’s soft cotton makes for the perfect cover-up in a drafty office. 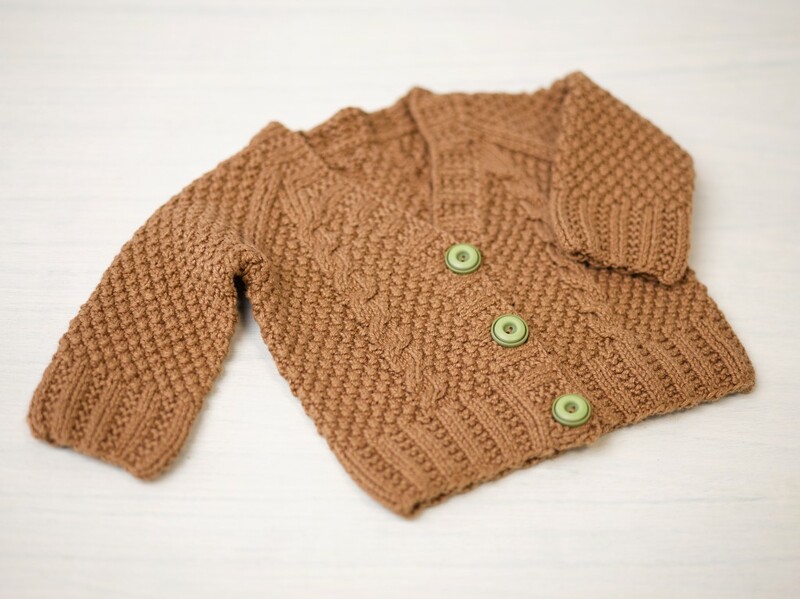 The Maple Baby Cardigan is a great choice for in-between months. Cables and textured stitches really pop in Conway! 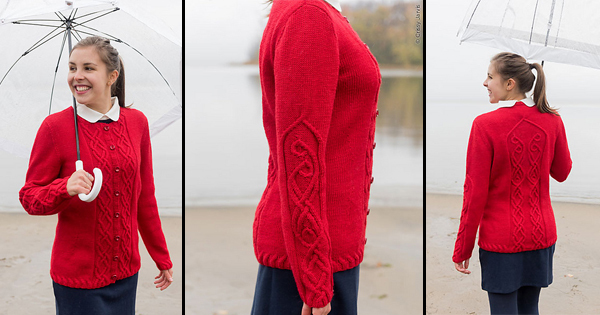 The Maple Baby Cardigan is also available as a kit, which includes the pattern and enough yarn to make any of the sizes! 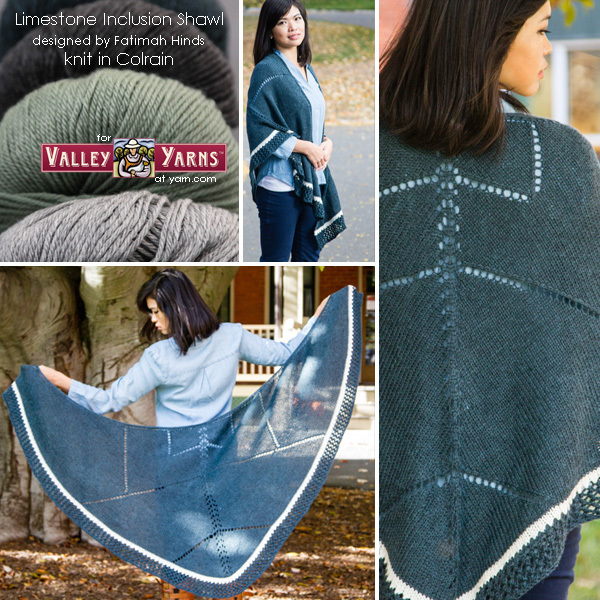 Those of us who will miss Valley Longmeadow can be rest assured that all patterns originally designed for Longmeadow can be made using Conway! Add the Rose Sorbet Tank to your spring wardrobe rotation, or crochet the Playing Blocks Afghan just in time for a summer baby’s arrival. 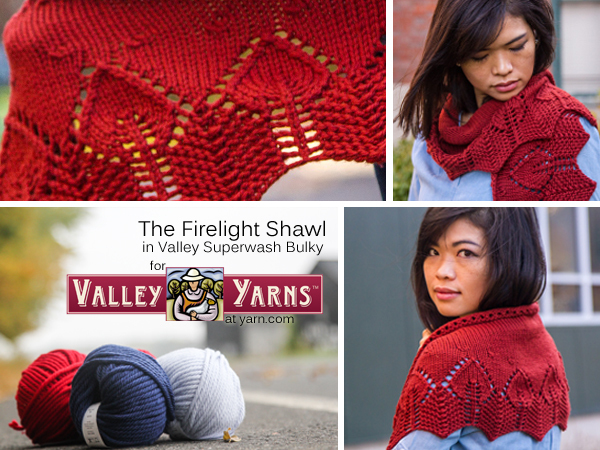 Valley Superwash Bulky in two new patterns! What quick, bulky patterns are you casting on this week? It’s the perfect time of year to wrap yourself up in the squishy comfort of an extra long cowl. Whether you prefer to wear it long like a scarf or scrunch it up doubled for extra warmth the Blue Quartz Cowl is the ideal piece to add to your winter wardrobe. Designer Fatimah Hinds drew on her background as a geologist to craft an interlocking matrix of cables and lace that evokes the beauty of a quartz crystal. Worked sideways and seamed this pattern can be easily customized to your perfect length. 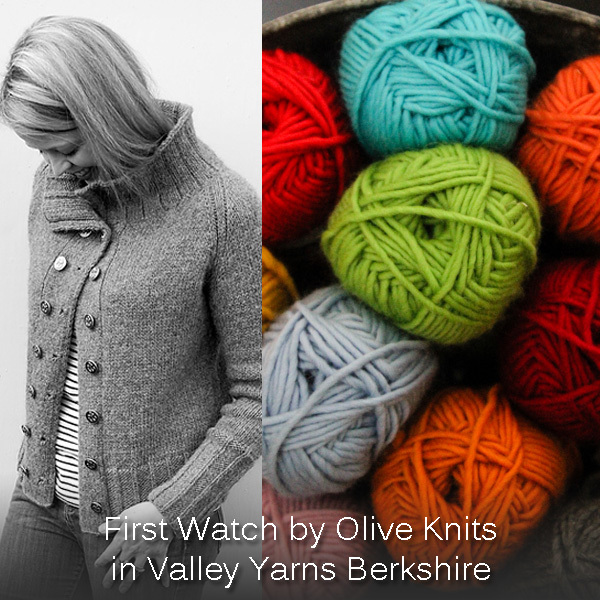 And when knit in Valley Yarns Berkshire Bulky, with it’s combination of incredible loft and softness, it easily becomes a go-to knit for that perfect holiday gift. How will you wear your Blue Quartz Cowl? 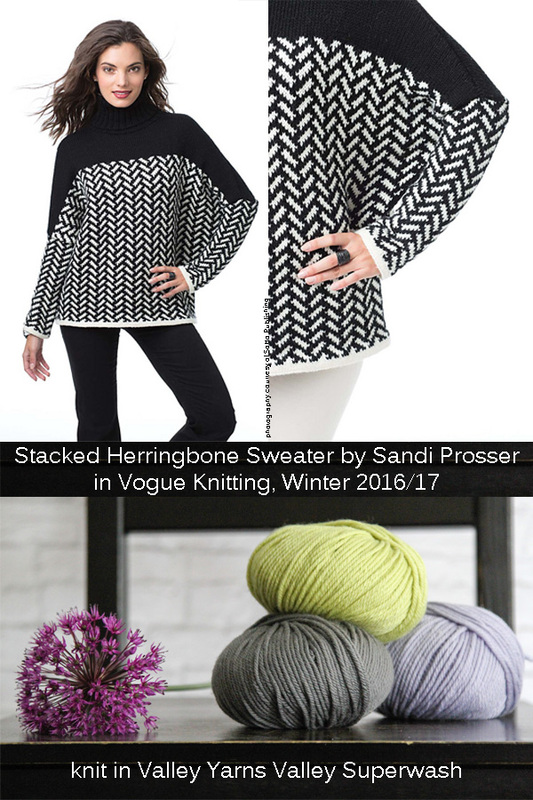 The Holiday 2016 issue of Vogue Knitting has some truly stunning pieces, but we are totally enamoured by the Mosaic Poncho Pullover designed by Norah Gaughan. Raglan sleeves and a bicolor ribbed neck give this pullover the feel of a sweater, but the swingy open sides are all poncho. 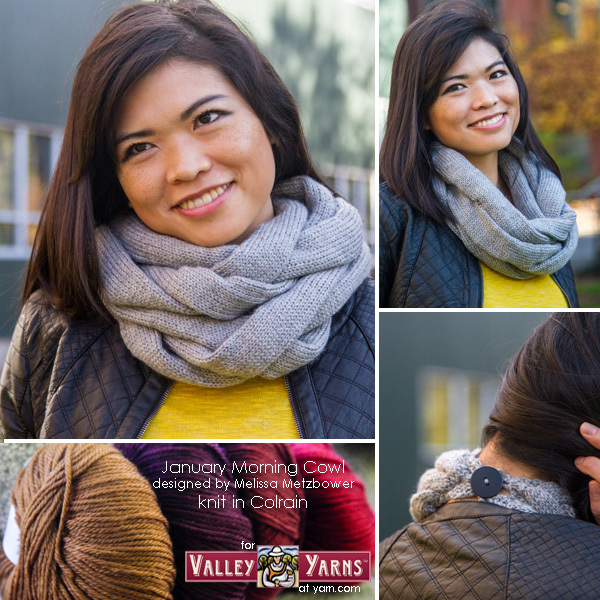 It’s knit in Valley Yarns Haydenville, a soft blend of superwash merino and microfiber. The vivid front and back mosaic panels are knit first; the sides are picked up along the panel and worked outward in two pieces, with the sleeves worked separately after the raglan shaping is complete. 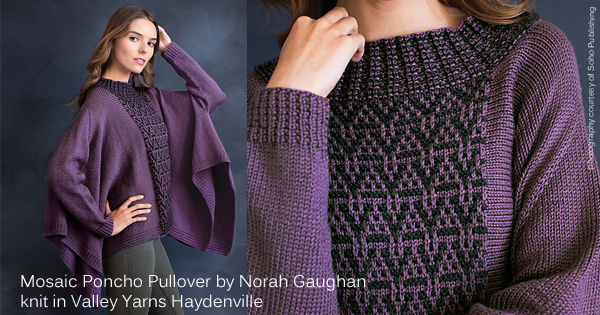 Use Haydenville in Soft Grape and Grey, as shown in the sample, or choose your two favorite colors!